It's been a week since Supanova, and we can only imagine you're pining for it as much as we are. Luckily, we have one last Supanova-inspired post to tide you over until, well, this time next year I guess. 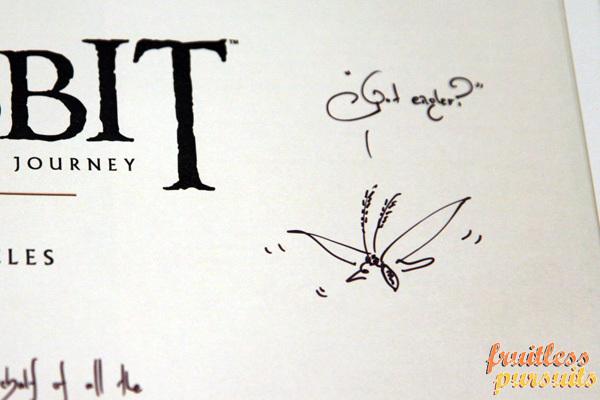 We all totally fell in love with the folk of Weta (or 'Wita' to the locals) and their incredibly impressive stall, so let's head below the cut to have a bit more of a look at some of the wares they had on show. Haven't already seen a million pictures of Gollum on Instagram? GREAT. Have another one. 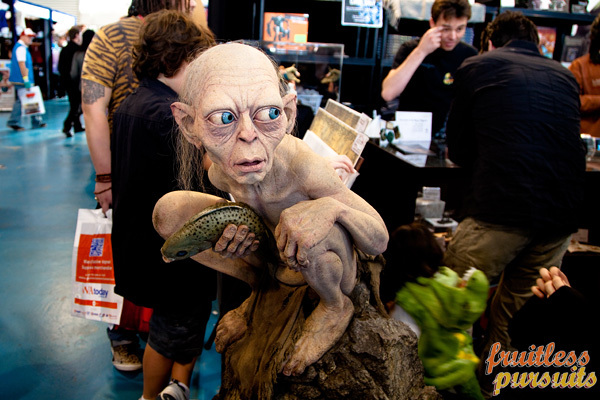 The stall was an opportunity to see a lot of statues and collectibles in person for the first time, primarily the Hobbit and Tintin lines, but with a little bit of Lord of the Rings thrown in too. They were only stocking fairly modest amounts of each item, meaning demand was high and a lot of great stuff sold out over the weekend. I was a little too late on grabbing The Collector's Guide, as when I went back for it on the Saturday afternoon it was completely sold out! I did end up buying it on the Weta website, but for twice the price when shipping was put on top of it, so I learnt my lesson there. 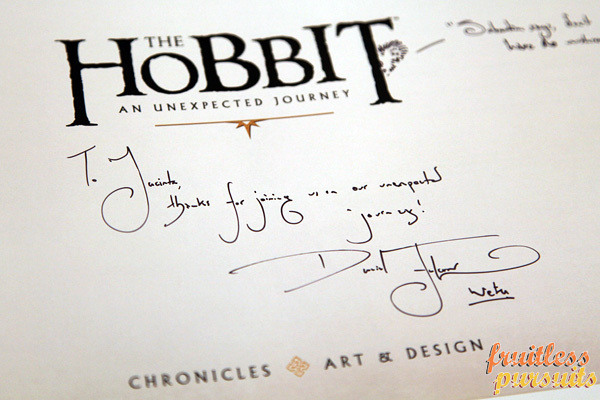 By Sunday afternoon all the Hobbit Chronicles books were gone as well (but I did manage to grab those!). 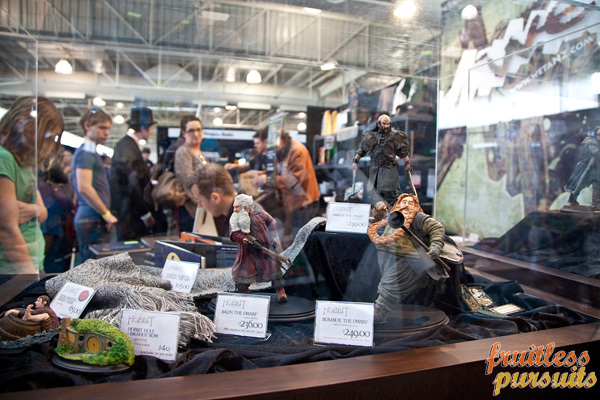 The full range of Hobbit statues were on display (minus the very recently announced Kili the Dwarf). 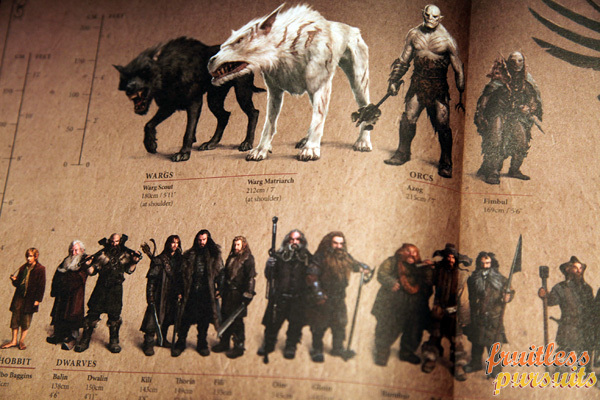 They look great, and I was pretty happy to see the first in the series of Hobbit Holes present. 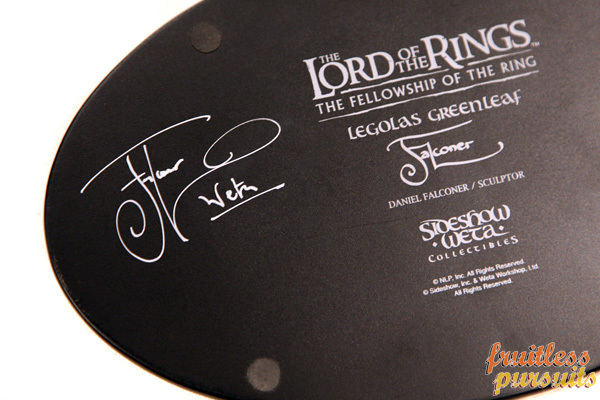 They're very cute, and a super affordable option for anyone who wants a few Middle Earth pieces without spending $200+. I look forward to the rest of the series being announced. 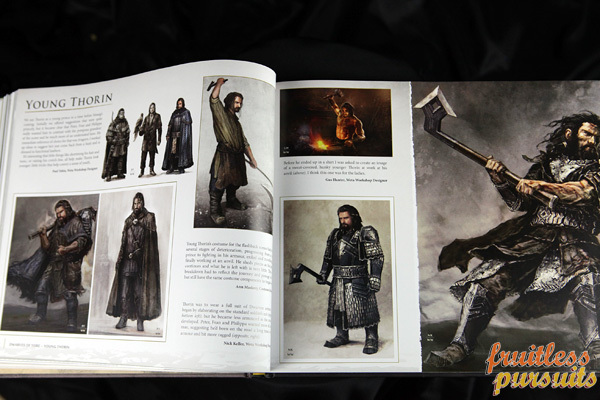 Thorin. Looked. Incredible. He looked quite good in the promo images, but seeing him in person is something else. 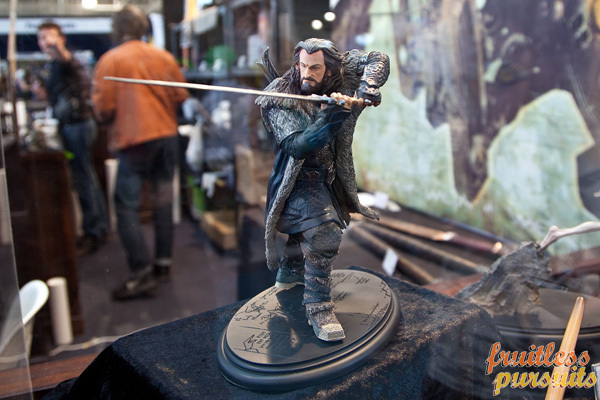 I had no plans to really buy any of the Hobbit line (depending on what they came out with for Smaug, of course), but Thorin is now firmly at the top of my shopping list. The pose is so dynamic, he looks like he's about to come alive and complete that sword arc right in front of your face. Weta sculptor Dan Falconer was at the booth all weekend chatting to fans and signing books (you can see him hard at work in that first picture of the statues). Sadly I didn't manage to get to either of the Weta panels over the weekend, but I did have a good chat to Dan (who is a lovely fella) and I got a couple of books signed. 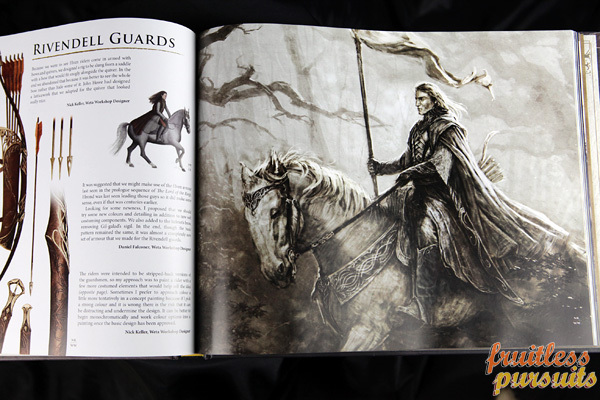 I already had a copy of 'The Hobbit Chronicles: Art and Design' which I'd brought in, so I grabbed the second volume 'The Hobbit Chronicles: Creatures and Characters' at the stall. I've actually had this book for ages, but never quite got around to reviewing it. No time like the present, then! As the title suggests, it's what you'd expect from a 'The Art of...' type book. 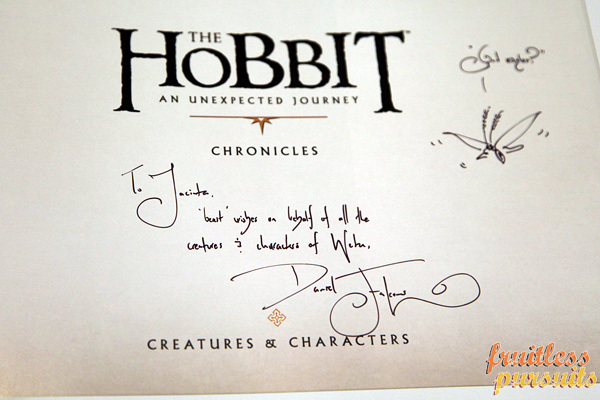 We start off with a copy of Thorin's map inside the front cover, and then we are taken through an overview of all the design areas of the film. 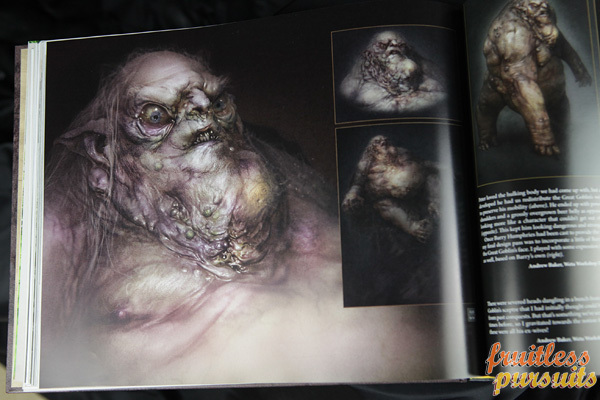 Including a big, long look at everyone's favourite scrot-throated goblin. Moving on to 'The Hobbit Chronicles: Creatures & Characters' AKA 'the blue one' as opposed to 'the brown one'. 'The Blue One' covers some of the same ground as 'The Brown One', but obviously goes into more detail. And, let's not beat around the bush here, there's one clear reason why 'Blue' is the clear winner out of the two volumes. THIS GUY. 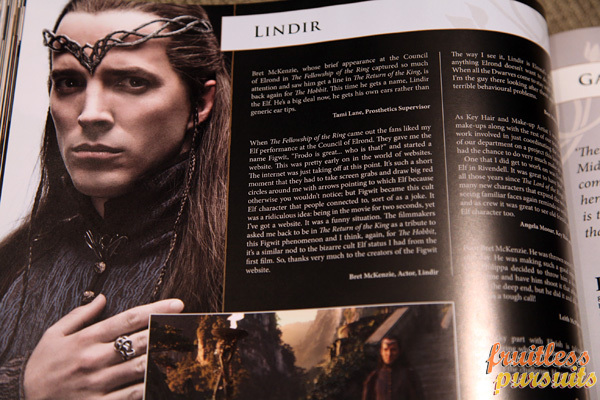 My, how far young Figwit has come. 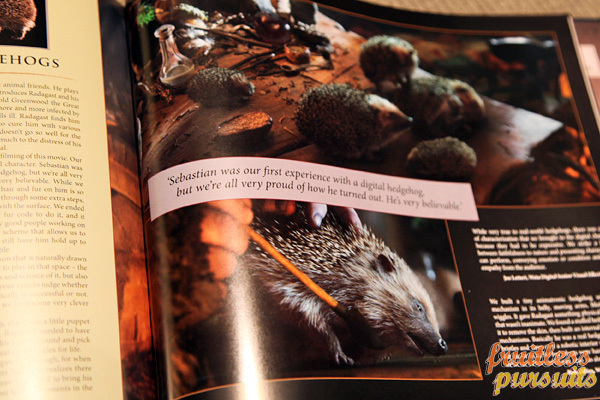 Not only has he got himself a new fancy name, he's also got a whole section to himself in the 'Making Of' book. 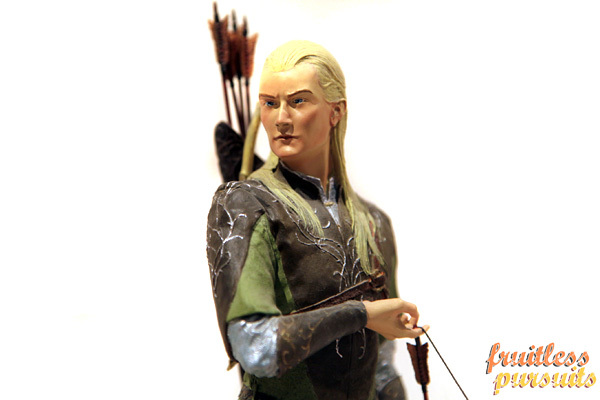 Weta, you do understand that you need to make a Figwit statue now, right? 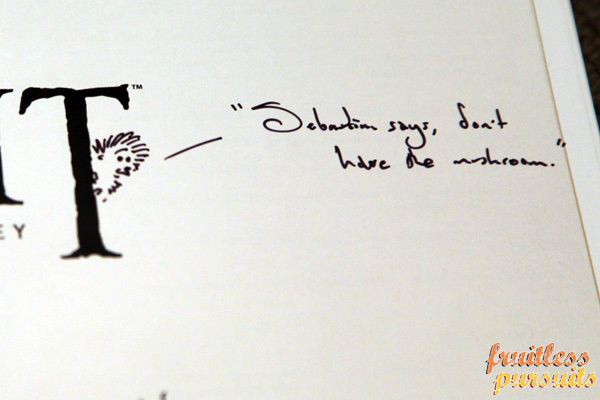 I'd buy it. 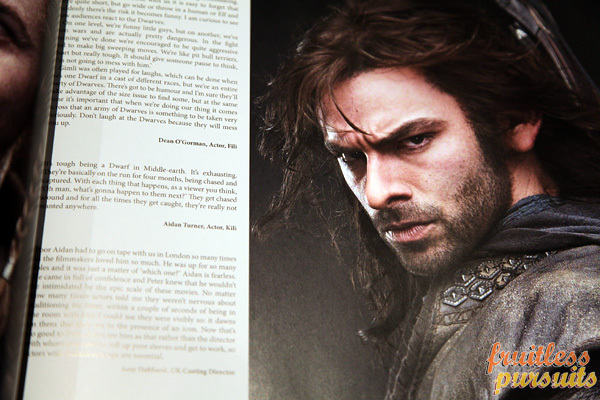 Exclusive first-look images of Kili's Loreal campaign. 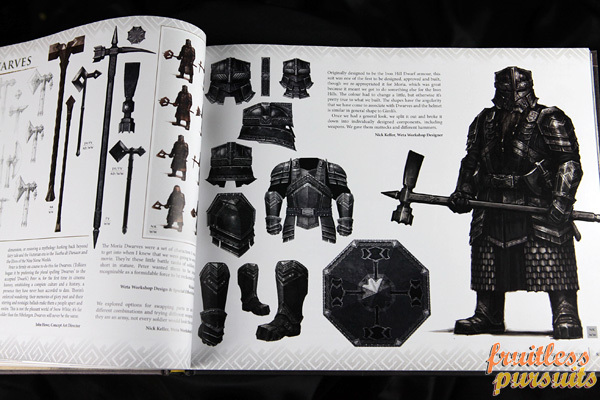 Final pages of the book are a fold-out size comparison chart. VERY cool. While those books are pretty fantastic, they aren't the only thing I got signed on the weekend. Oh no. 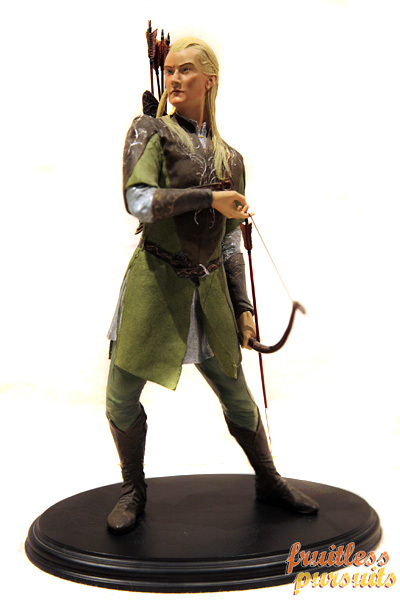 While flipping through the Collectibles Guide I pointed out the Fellowship of the Ring Legolas statue that I'd been given as a gift on my 18th birthday. Dan said that he'd actually sculpted that particular statue, so obviously, that wasn't an opportunity I was going to waste! A huge thankyou to all the WETA crew for being such legends over the Supanova weekend. From what I heard their panels were absolutely incredible and I'm still kicking myself that I got caught up doing other things. Their work is completely insane, and I really think it's about time that we adopt them as Australians, as is the norm for any successful New Zealanders. Hopefully our honourary Aussie brothers will be back for the convention circuit again next year. Only 5 months to go til we get to see their handiwork once again in The Desolation of Smaug, so stay tuned to Fruitless Pursuits as we count down the days!